Honestly, there's not a lot of English-language facts regarding what you can and can't bring onto a train, bus, or subway. All I can do is try to point you in a less stressful direction. Inter-city bus riding is easiest option, hands down. 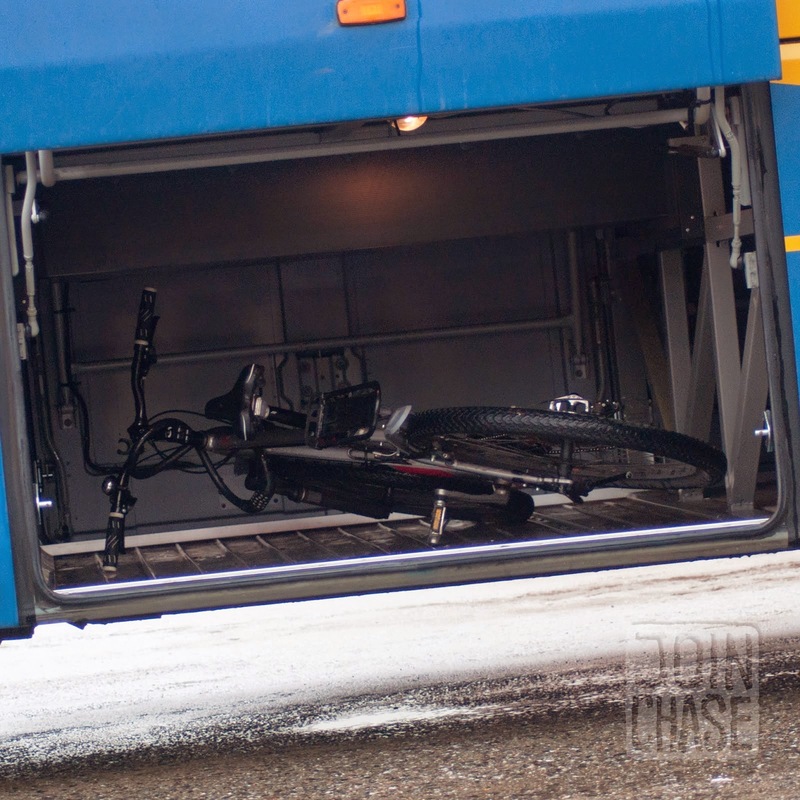 You can quickly stow your bus underneath, ticket times are plentiful, buying tickets isn't a hassle, and prices are reasonable. Check out each city's bus schedule on their official website. 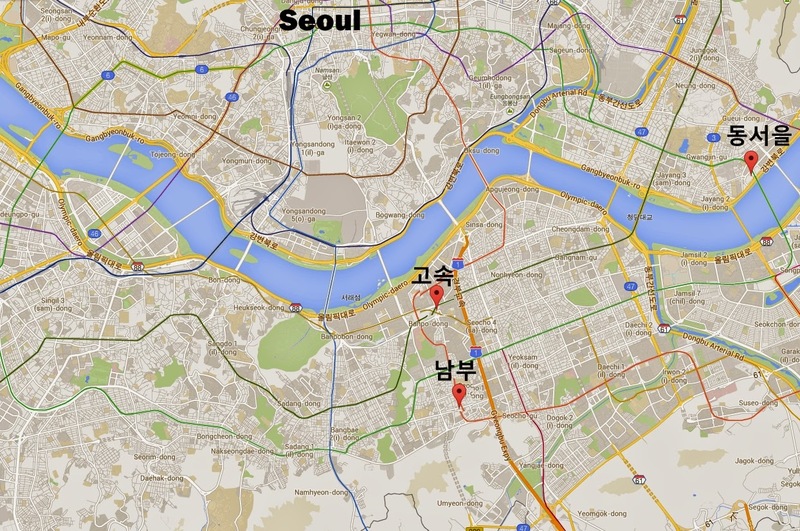 Another possibility is a quick Google or Naver search for the city's name + 시외버스 + 시간표 as in 대구 시외버스 시간표 to see what Daegu's bus schedule looks like. Photos usually link to someone's personal Naver blog so the photos aren't always the most reliable but I have on more than one occasion used this method to find out when the last bus to Seoul is. My personal favorite as it's not terribly far away from where I live (only about 8km) and has more time slots available to just about anywhere outside of Seoul. Links to subway lines 3, 7, and 9. My backup option to use if a better time is available. Links to line 2. An older bus terminal that also has inter-city buses. Only used it once when coming back to Seoul. Links to line 3. For more information, this OhMyNews article (Korean) is really helpful at summarizing the issue. Lots of good info there. If iTX slots aren't available or you just want a sure bet coming from Chuncheon back to Seoul, subway is not a bad option. It's cheap, but it might be crowded. This is also an option, but I have had hit and miss experiences with the slow trains. 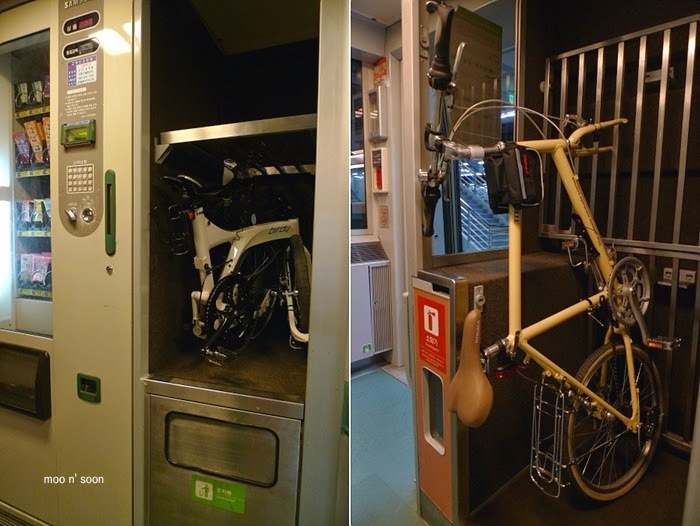 Keep in mind that bike riders and their bikes are not ideal passengers and trains were not designed for us in mind. We take up space and we are an inconvenience. 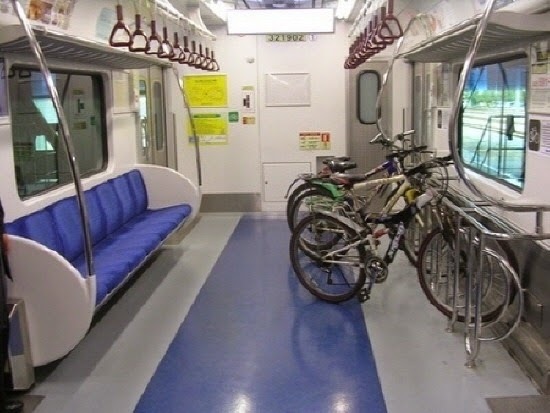 iTX is the only exception to this as it was designed to accommodate bike riders by design, but those seats are limited. 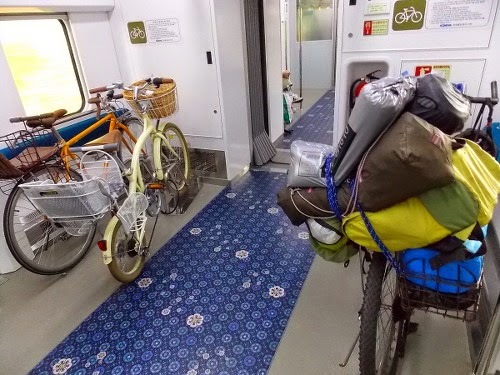 The less express it is, the more space you'll have and the less hassle you'll get. 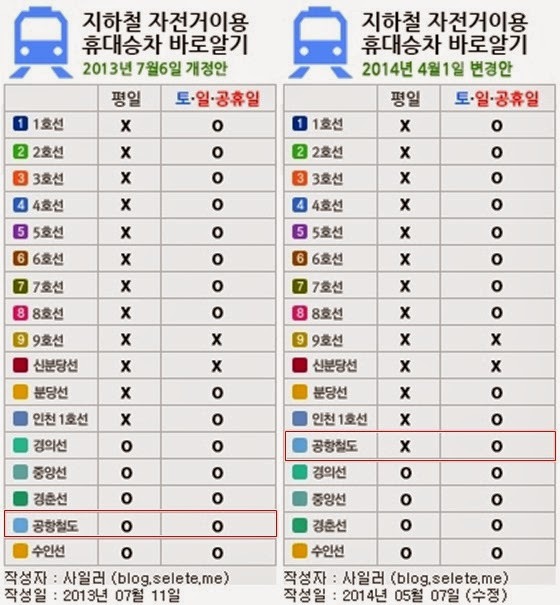 Bullet train KTX is probably not going to let you on. 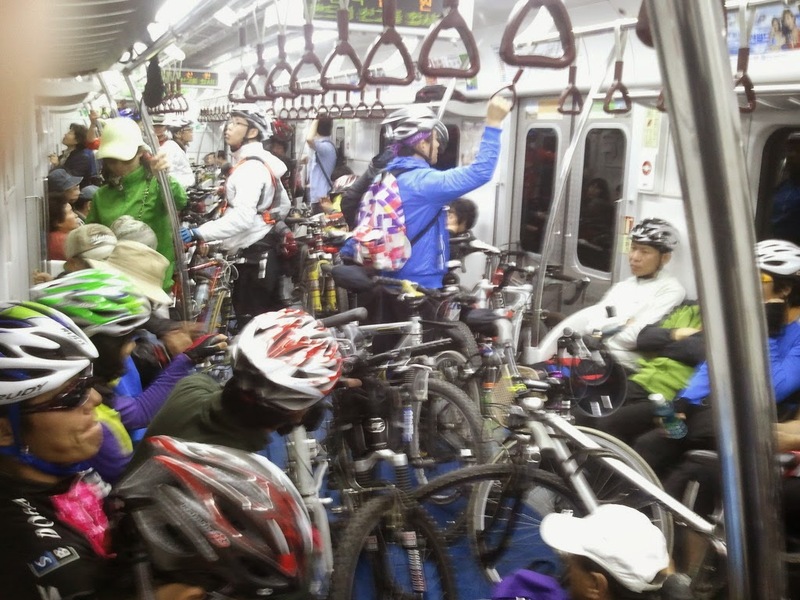 I have yet to see the fabled green train that is supposedly bike friendly). 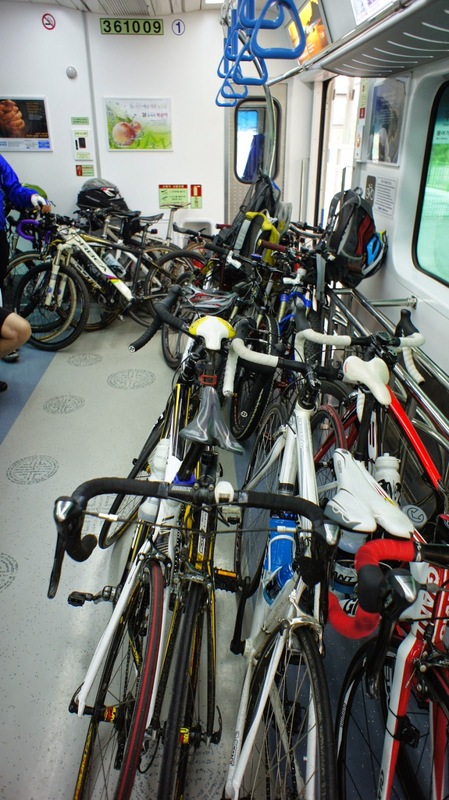 Then again, there are people who have taken their bikes, fully assembled on and off without hassle. Go figure. It seems it depends on the amount of passengers booked and the mood of the people checking tickets at the gate. I seem to have mostly experienced the opposite side of the luck coin. I've been denied multiple times on proper trains. 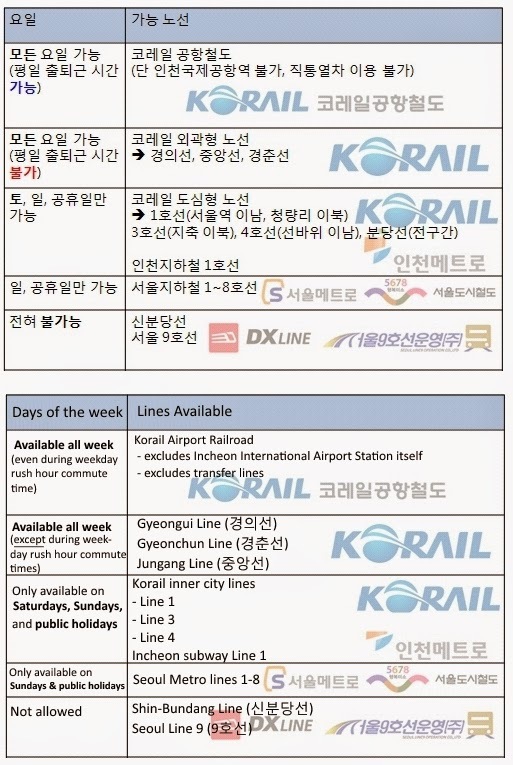 Once, in Chuncheon, I was turned away even after purchasing a bike ticket and waiting in queue (they refunded me the ticket price and I took the Gyeongchun subway line back to Seoul instead). Think 2 hours coming home instead of 30 minutes. This kind of maybe-allowed-maybe-not policy is why I prefer buses instead.